This is a lovely little read about young love with a paranormal twist. The romance was pretty straight forward with some insta-love thrown in, there are some challenges that the characters have to navigate, but being a short read, things were settled neatly in a short time. Quinn seems to be a only gay man in their small town. His life is pretty mundane with working for his aunt's shop and visiting his only best friend, Tash. That is until a pack of shifters came to camp at their town and Quinn's life suddenly gotten more interesting than he bargained for. Kellan belongs to a nomadic pack that have to keep moving due to human's hostility towards them. Stopping at a new town proves to be a challenge, until Kellan meet the friendly Quinn and instantly intrigue by his unnatural scent. These two young men are simply lovely and despite their instant attraction, the progression seems natural, if you can call feeling strong attraction to your destine mate as natural. They are just so smitten with each other and like any youngster, they believe their love can triumph everything else, which is naive, but so damn romantic. 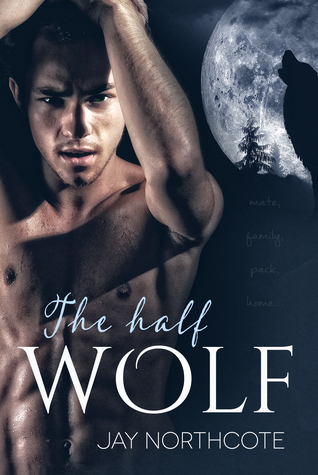 While they are high on each other, there is a rogue shifter on the loose that is causing havoc in the town and everyone start blaming Kellan's pack. With so much animosity towards the shifter, Kellan might have to move sooner than Quinn prepared for. Overall, the story is low on angst, high on love and there was a little bit of suspense thrown in when they are hunting for the rogue shifter.